Looking for a way to make your wedding bouquet last well beyond the ceremony and reception? 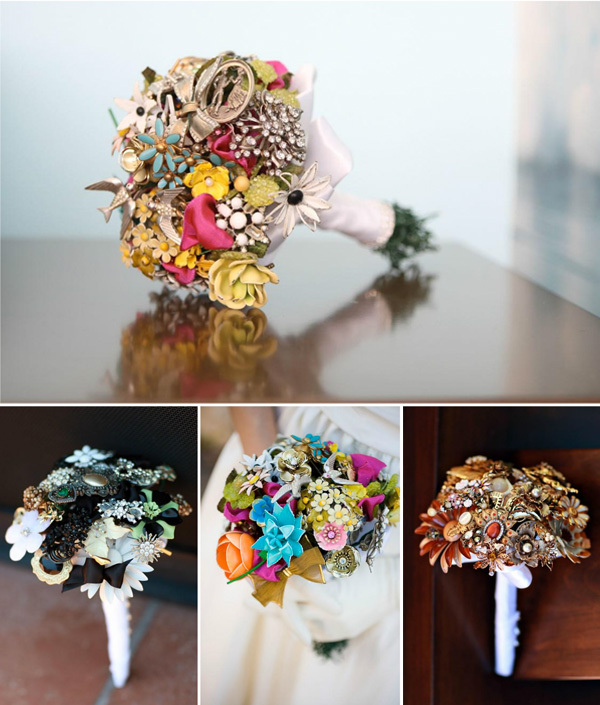 Try a handmade bouquet made of vintage brooches. This stunning alternative to the traditional bouquet will add a touch of whimsy to any style wedding. From traditional to rockabilly, a vintage brooch bouquet will be the centerpiece of your wedding day. Use brooches in the same palette to create a strong color focus. 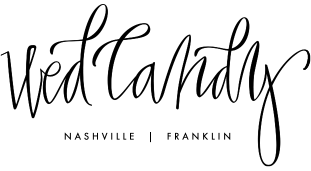 Or try a variety of complimentary colors to coordinate with your wedding décor or bridesmaid dresses. 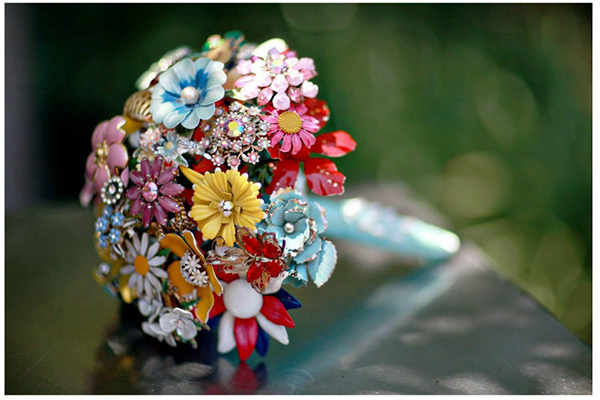 There are several online sites that offer step-by-step instructions for making your own vintage brooch bouquet. Is there a more perfect to honor your family by using vintage brooches passed down to you from you aunt, your mother, or your grandmother? If you do not have any brooches you can always ask family members to give or donate any they might have. Also Etsy and Ebay are inexpensive wonderful places to find a wide array of colorful brooches.